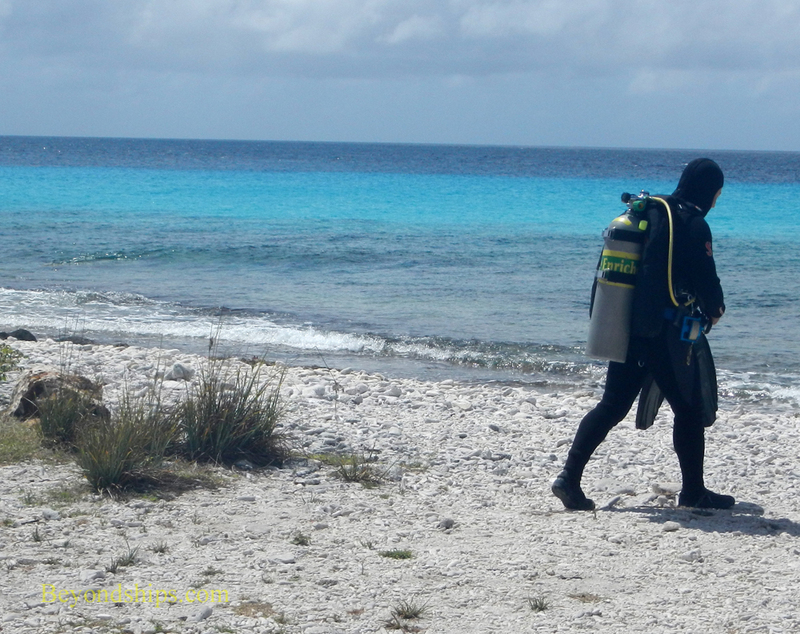 Bonaire prides itself on its reputation for world class snorkeling and scuba diving. The island has a fringing reef that extends out in places 200 feet before dropping off into the abyss. As a result, divers and snorkelers can often walk into the water from shore and find an environment rich in sea life. In addition to more plentiful parrot fist, angel fish and sergeant majors, there are the occasional sea turtles, whale sharks and manta rays as well as more than 50 species of coral. The water is very clear and so visibilty is quite good. 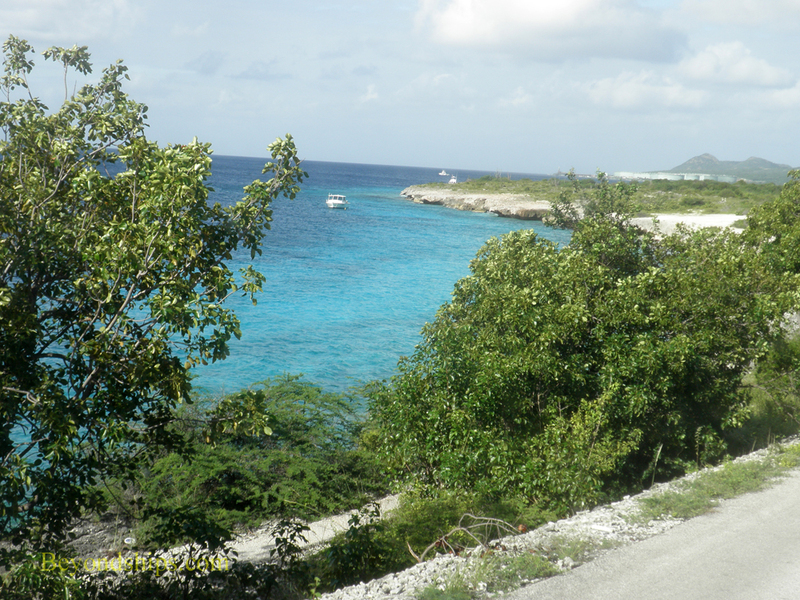 Most of the waters around the island are within the Bonaire Marine Park and are legally protected. There are 86 dive sites within the park. Yellow painted stones with the name of the site mark their location along the coastal roads.They are marked with Two of the most popular dive sites on Bonaire are Alice in Wonderland and 1,000 Steps Beach (there actually only 60-odd steps). Above: Small craft off the west coast often indicate divers below. 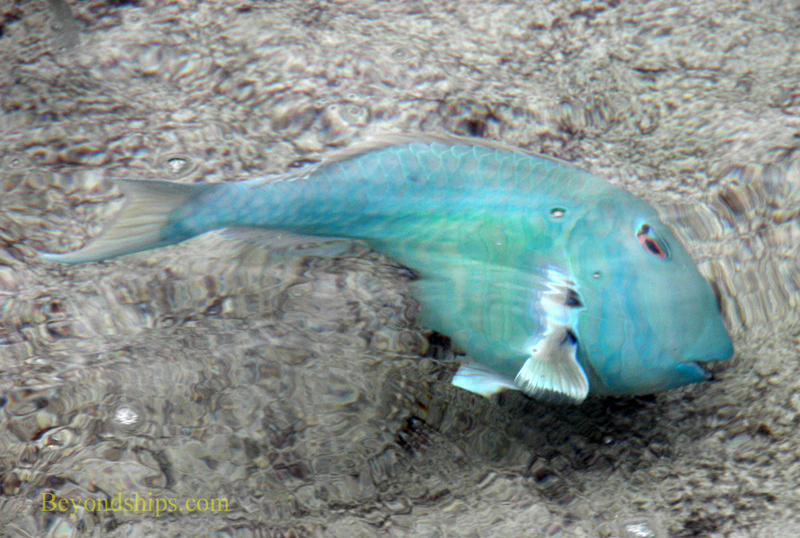 Below: The water off Bonaire is remarkably clear.